I read the following books in February. If you would like to see how I rated each book click on the Goodreads button on the right. I purchased the following books in February. I will do a post on some of these. All will be rated on Goodreads. Click on the Goodreads bookshelf on the right to see my ratings. Esther Diamond does not have a paranormal bone in her body. What she does have is a role in a play featuring magic. Everything changes when Golly Gee, the lead actress, disappears for real during a performance. As her understudy Esther has to solve the mystery before she has to take Golly Gee’s place and risk becoming another real disappearance. Laura Resnick has written a funny paranormal mystery filled with quirky characters some of whom do have paranormal abilities. Along with a great plot there is a hint of romance between Esther and the police detective. Watch for the phone call where the detective describes Esther to his mother. That scene is just one of the laugh out loud moments in Disappearing Nightly. Disappearing Nightly by Laura Resnick is a great start in a new Paranormal Mystery series. Dopplegangster is the second book. 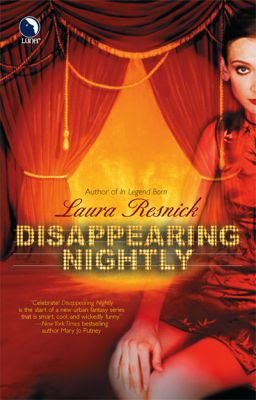 Luan published Disappearing Nightly by Laura Resnick in 2006. The paperback version is out of print but you can do what I did and purchase Disappearing Nightly from Fictionwise. Time Travelers Never Die by Jack McDevitt is a different take on time travel. When Shel’s father disappears leaving devices that allow travel thought time Shel and his friends Dave start on an exciting fast paced time travel adventure. None of the restriction usually found in time travel stories apply here. While trying to find Shel’s father the two friends pop up just about everywhere and even meet themselves. Jack McDevitt allows us to meet many of the major historical characters plus some we may not be familiar with. The characters, especially Dave and Shel, are well developed. The historical characters come across as just ordinary people at a crucial time. Filled with danger, conflict and complex problems Time Travelers Never Die is a hard book to put down. Once again Jack McDevitt has written a fascinating science fiction novel filled with surprises. Ace published Time Travelers Never Die by Jack McDevitt in 2009. I checked out Time Travelers Never Die from the Rogers Public Library. I often buy books from Fictionwise. The secure formats will not load on my eBookwise reader and I have been reading them on my computer. At the same time Barnes and Noble announced the Nook they purchased Fictionwise. Any book offered at Fictionwise can be downloaded to the Nook so Idecided that I had to have one. I asked for Barnes and Noble gift cards for Christmas and my birthday. I also did a lot of my Christmas shopping online through My Points. I earned enough points shopping to get several more Barnes and Noble gift cards. Last Wednesday I ordered my Nook. It arrived on Thursday. I have been busy checking out all the features. I had a sizable TBR eBook stack on my computer just waiting for the Nook. All are now loaded and ready to read. The process is very simply. I attached the Nook to my computer with a USB cord and opened the Nook drive. Then I put the cursor on each book and did a drag and drop into the documents file on the Nook. Presto! All my eBook TBR pile is now on my Nook. After loading the books I dismounted the Nook from the computer, told it to get new content and started reading. I use an Apple computer but from looking at the video on how to side load material it is just as simple on a PC. They did not bother telling you how to side load on an Apple. I am still getting used to the Nook but have to say that so far I am pleased with my purchase. As I finish a book I will rate it on Goodreads. 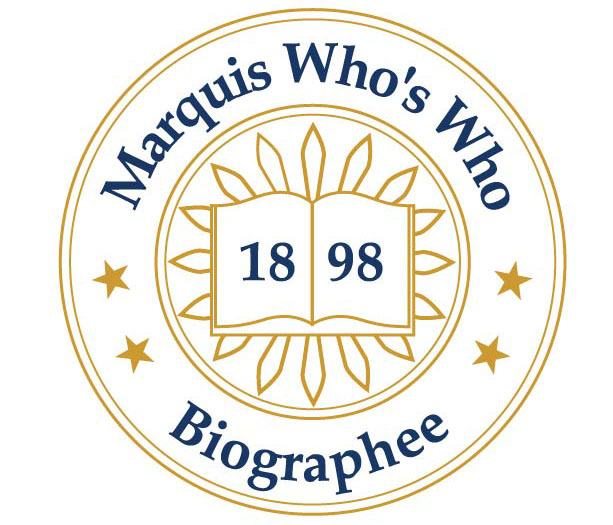 To see my ratings just click on the Goodreads bookshelf on the right of the blog. Gail Carriger calls Soulless an urban fantasy alternate history with a sprinkling of steampunk. I just call it fun. Soulless is set in the late 1800’s and combines the paranormal with historical romance. There are all the rules that you read in other historical romances with the addition of werewolves, vampires, ghosts and the preternaturals. All of these elements lead to a story with interesting twists in the behavior of the characters. Filled with great world building, an interesting plot and great characters Soulless is a good start to a new series. Alexia Tarabotti is a strong female who has no soul. Lord Maccon is a werewolf who clashes constantly with Alexia. A new vampire tries to feed on Alexia she and Lord Maccon are thrown together to solve the mystery. The result is an entertaining page-turner filled with adventure and romance. Orbit published Soulless by Gail Carriger in 2009. I purchased Soulless at Borders. A Precious Jewel by Mary Balogh is an earlier book that has just been re-released and is not your usual romance book. There is no big mystery. The only obstacle to a HEA is the internal struggle of Sir Gerald Stapleton. Sir Gerald is not your typical hero. He is not particularly handsome, nor is he extremely bright. However he is a very nice young man who is very afraid of commitment. Priscilla Wentworth is a beautiful lady who is in Sir Gerald’s bed because of misfortune that left her with few choices. Both are very attractive characters that have to overcome many issues before they recognize that love is the most important thing. If you like a sweet love story pick up A Precious Jewel. I have several favorite Mary Balogh books and A Precious Jewel is now on that list. Dell published A Precious Jewel by Mary Balogh in 2009. I purchased A Precious Jewel from Fictionwise. I loved New Blood (see my post on February 2, 2010) so I visited Borders and purchased Heart’s Blood the second book in the series. Sometimes the second book is a disappointment but Heart’s Blood lived up to my expectations. I was pulled into the story faster than I was in New Blood. The world was already created and the backstory already in place. As a result the story developed faster. We met Grey Carteret, the Magister of the Wizards Guild, in New Blood. As Heart’s Blood begins Grey wakes up in an alley guarded by a street urchin. There is a murdered man not far from where he wakes up. The street urchin turns out to be Pearl Parkin, a female. When Grey is arrested for murder and put in jail Pearl blackmails him into accepting her as his apprentice. 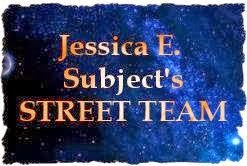 Grey’s arrival in the alley and the murdered man are part of a new magical threat and soon Grey and Pearl are busy trying to solve the mystery. Heart’s Blood is a fast paced adventure that includes many of the characters from New Blood. The series remains on my favorites list. I will be on the outlook for the next book. Just additional comment. I thought the cover of Heart's Blood was much better than New Blood. You can compare the two here on the blog. Leave a comment and let me know what you think. TOR published Heart’s Blood by Gail Dayton in 2009. What do you do when you find what looks like an alien fossil on the K-T Boundary? That was the problem that confronted Helen Sutter on a dig that also had the strange fossil surrounded by several dinosaur fossils. As the story unfolds that fossil leads to even stranger events and Helen winds up on Mars!!! A lot happens between these two events. Boundary has science, action, adventure, great characters and relationships all in an exciting format. I re-read Boundary because Threshold, a sequel, is coming out in June. 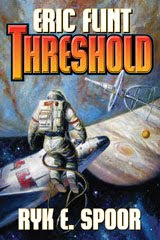 The stage is set of more action and adventure and I am looking forward to Threshold. Baen published Boundary by Ryk E. Spoor and Eric Flint in 2006. I loved Invisible and recommended it in a previous post. When Kimber sent me a free copy of Flawless I downloaded and started reading. Just like in Invisible once I started I could not stop. It was a late night for me as I read until I finished. Now I have to go back and read again just to savor the story. If you have read Invisible you will remember Tavos. He is a good man who has done really bad things for very good reasons. Because of his past he feels that no one could possible love him. Nor does he feel that he deserves to be loved. Grace thinks she is to blame for really bad acts that her father has committed. She thinks that her action caused her Mother's death. Her sociopath Father is being released from prison and she knows that he will kill her. Grace thinks that she deserves to die. When a friend (be sure to read Invisible) arranges for Grace and Tavos to meet the fun begins. He tries to protect her. She tries to love him. She is willing to die and he is determined to save her. No matter what Tavos says or does Grace manages to put a different spin on it. Flawless is another fun book from Kimber Chin. Tavos and Grace are wonderful characters. Both are wounded making them just right for each other. Flawless is filled with action, tension and romance. Kimber has the ability to wrap all of that up and include a lot of humor. Champagne Books published Flawless by Kimber Chin in 2010. Flawless is available as an eBook. I have gradually been won over to some paranormal romance books and now have some favorite paranormal romance authors. I never miss a book by Robin Owens, Jayne Castle, or Nalini Singh. After reading New Blood Gail Dayton will join that list. New Blood is set in the mid-1800’s in a world where there are four kinds of magic’s; alchemy, conjury, wizardry, and blood sorcery. One kind, blood magic was lost when the last blood sorceress waited to long to find an apprentice. One of her last acts was to give her knowledge to her blood servant Jax and send him out to find a new blood sorceress. Amanusa thinks she is just a minor witch until Jax finds and greets her as a blood sorceress. Together they start on a journey that will take them across Europe where together they find friends, face enemies, bring overdue justice and work to stop the spread of machines that eat magic. Gail Dayton has taken our world and given it a twist by adding magic. The result is a believable story filled with great characters. Each plot elements adds to the story while the building relationship between Jax and Amanusa. New Blood is a well-written book that has action, adventure, excitement and romance. In other words, everything you want in a paranormal romance. TOR published New Blood by Gail Dayton in 2009. The second book in the series, Heart's Blood, is available now.